Should Dunedin ratepayers and residents be worried about lack of performance at home. Sat, 5 Aug 2017 at 8:04 p.m. 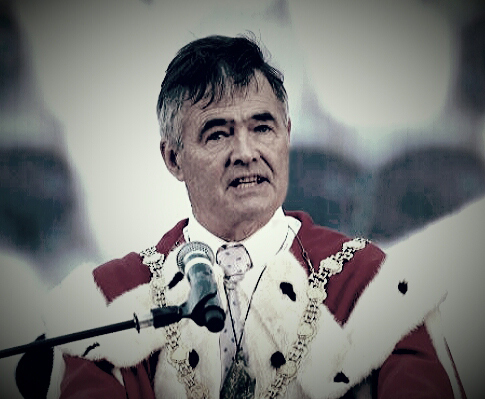 Ratepayers of Dunedin must have mixed feelings now that their Mayor has been elected to the position of President of Local Government New Zealand. Mixed, as some estimates of the time necessary to undertake this onerous role seem to indicate about 3 days a week. Representing more than 70 local authorities certainly would seem to take that time at least, and much of that time will be out of Dunedin in lobbying central government. Some of the ratepayers may think that it might not be a bad thing to have the Mayor paying attention to matters out of Dunedin, but some may be thinking that he should be in Dunedin as much as possible to undertake what has been, and should be, a full-time role. It’s not that there aren’t pressing matters to deal with. The crumbled Aurora network and the resultant huge borrowing by the DCC company to bring the network up to an acceptable standard, the sad state of much of the infrastructure which now includes the Taieri Plain, the problems of not having dividend payments from DCHL, the prospect of another ratepayer funded swimming pool at Mosgiel when the private funding dissipates, the issue of the hospital – the list goes on and on and on. Many mayors of much smaller local governments view their role as a full-time one and some may even wonder if the previous President of Local Government, Lawrence Yule, had been paying a bit more attention to local matters then the horrific situation whereby his local ratepayers were supplied with dangerous drinking water could have been avoided. Who knows, but we do know that Mr Yule not only had the Presidency of Local Government in his mind, but he was also eyeing up ending up in central government as the local National Party member. All those things aside some practical questions arise. If the Mayor is now also working as a President of LGNZ for say, 3 days a week, does his remuneration as Mayor of the DCC get reduced on a pro-rata basis? Does the position of President of LGNZ also attract an honorarium? If so, should a pro rata proportion of that be paid to the DCC to offset the lack of availability of the Mayor to attend to his DCC duties? Or does the Mayor simply add any honorarium of the LGNZ role to his income as Mayor? And what of the role of the Deputy Mayor of the DCC? Does increased responsibilities to this role because of the absence of the Mayor lead to an increased honorarium? I do note that the Mayor intends embarking on a national road show/tour to introduce himself to the 70+ local government authorities that he now heads up. Let us hope that this showcasing of the Mayor’s profile is done at a time when it is convenient and appropriate to those that are paying his wages. And I wonder what advice and guidance he will be giving to Mayor Dalziel now that the pro-rugby lobby is winding up to provide a covered stadium in Christchurch? What interesting times we live in. The Dunedin City Council Annual Plan 2017/18 indicates the Council will borrow an extra $100M during the next LTP period; this debt borrowing is fully separate to the Aurora Energy debt borrowing – and is not at all explained to the Ratepayers. It was Cr Lee Vandervis who highlighted this massive extra borrowing at the full council meeting on 27 June 2017, when the council signed off (item 20) the 2017/18 Annual Plan. This query received No credible response from the mayor and councillors; or examination by the ODT reporter present. All Extremely well thought out and rational questions. It was Cr Lee Vandervis who highlighted this huge extra borrowing at the full council meeting on 27 June 2017, when the council signed off (item 20) the 2017/18 Annual Plan. This query received No credible response from the mayor and councillors; or examination by the ODT reporter present. In total agreement with your last sentence.